Partner Note: No one is safe after dark in Tom Ford’s Nocturnal Animals. Especially Amy Adams’ character, who is unable to sleep at night, perpetually haunted by her past life, plagued by the memories of the terrible act she’s done to her ex-husband (played by Jake Gyllenhaal). The film, which is in theaters now and getting plenty of buzz, shows the darker side of what's going on when most of us are sleeping. 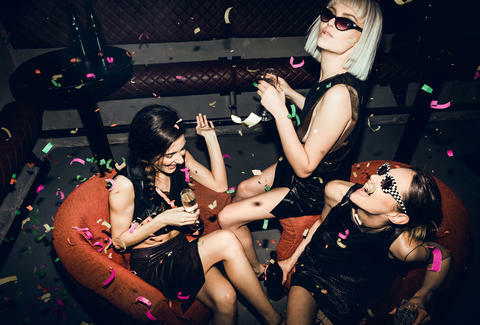 If you're up all night, too, see what mischief you can get into -- we’ve rounded up your best options below. W W hen it comes to a night out, hitting up bars and dance clubs is for the basic. Why cram yourself into an overcrowded bar when you can wander dark streets and go on uncharted adventures until 5am, encountering all the fun the night has to offer while the rest of the world is sound asleep? 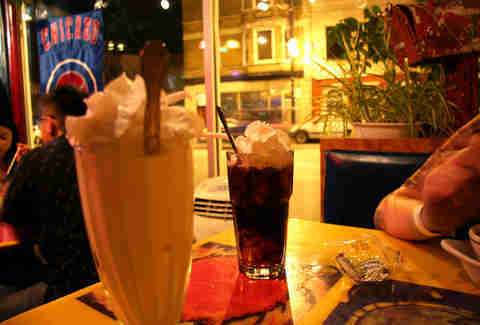 For the night owls who are up all night, there’s a ton of unusual late-late-night spots to choose from around the country, each proving that the real freaky fun starts after dark. Whether you’re after burlesque shows, late-night art galleries, or looking to get some ink, there’s something for everyone. Trust us. New York is overflowing with nightclubs, but The Box is unlike anything else the city has to offer. Owned by several theater moguls, this exclusive Lower East Side club offers its stage to performers and musicians, but is specifically home to The Hammerstein Beauties, a group of decadent burlesque ballerinas who entertain their late-night guests with salacious dance routines. But at 1am, the real show begins. Staff remain tight-lipped on what to expect (apparently you have to see it to believe it), but they do promise some serious entertainment. In the meantime, sip on some specialty cocktails, check out the aerial dancers hanging from the ceiling, and enjoy what the ladies have to offer until 5am. While it might not be for the faint of heart, is anything tame that late at night/early in the morning? Instead of being trapped inside your house when the clock strikes midnight, why not trap yourself in a Zombie Lab and save the world? 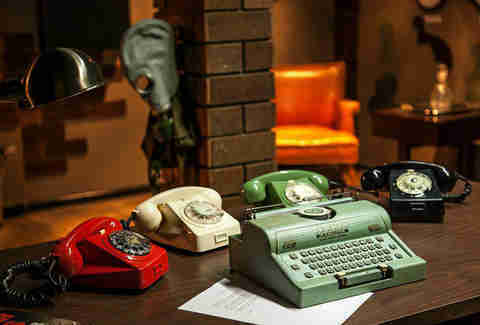 Los Angeles' Room Escape offers an intense hour-long escape mission, where visitors in groups of two to six race the clock to crack the code and get out of creepily-themed spaces. With rooms like Central Bank, the Cold War Bunker, the Zombie Lab and Prison Break, it'll be hard to decide where to get locked up first, but regardless of your final choice, an adrenaline rush will follow. When you're stuck in a Zombie Lab with bloody handprints on the wall in the middle of the night, you're going to want to get out of there -- quickly. What better time is there to get a last-minute back tattoo and tongue piercing than at 3am? Greenwich Village's legit late night tattoo parlor NYC Ink looks like a highly impressive smoke shop when you walk through the door, but the neon purple "tattoo" sign in the back instantly reveals that it has more to offer. Late night patrons have the option of going through shelves of elaborate glass pipes before taking on the needle -- or heading straight to the one-room ink station where artists take their designs to new levels. But the best part about dropping by right before the store's 4am weekend closing? No lines, no noise but the needle, and no chance to turn back. Plus no one will look twice when you request a tramp stamp of a unicorn puking a rainbow. 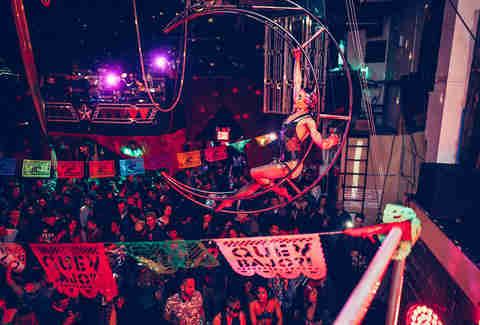 Despite being the hipster capital of the world, Bushwick's House of Yes is one of the few places in Brooklyn where beanies and flannels are exchanged for psychedelic sideshows, trippy decor, and titillating burlesque dancers eager to put on a show. The neighborhood's underground venue is home to eclectic late night performances, including immersive movie screenings, elaborate circus productions, live music, and innovative fashion shows. As if that wasn't enough to ward off boredom, the club also delivers various themes throughout the week, and visitors who dress in costume are often rewarded with priority entry and free drinks. Once you walk through that door, there's not a dull moment until you make your way back to the real world at 4:30am. While sitting through two hours of Ewan McGregor singing isn't everyone's ideal way to spend a Friday, hanging out at the Can Can at 1am is. Seattle's Moulin Rouge-inspired cabaret mixes interactive performances with comedy and cocktails, providing an incredibly intimate setting for those looking to experience a very thin barrier between performers and audience members. On weekends, head to the Midnight Show, which features a rotating cast of singers, dancers and performers who are as unconventional as they are shocking. In a venue this tight, you'll see every provocative angle the show has to offer. What's not to love? 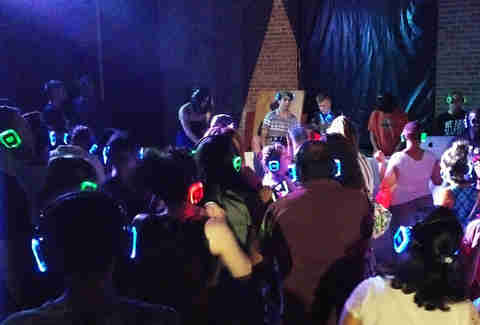 This 10-year-old art movement annually takes over Trenton, New Jersey's industrial Roebling Wire Works to provide art junkies with 24 hours worth of art and entertainment. Every third weekend in June, artists ranging from abstract novices to well-seasoned veterans to that kid in high school who really liked making collages in their spare time, submit their work free of charge so thousands can discover their talent in a gallery-like atmosphere. In-between paintings and sculptures is live music on multiple stages, interactive art, films, lectures, and food. With 50,000 square feet of space, there's no shortage of things to see into the wee hours of the morning. You don’t need fall foliage and jack-o-lanterns on the ground to see Rocky Horror Picture Show, and Boston’s theater troupe the Full Body Cast proves it. Their version of the deviant 1975 cult classic film is reenacted every Saturday night while the original plays in the background, but it’s hard to pay attention to Susan Sarandon when you’ve got a real life scantily-clad Columbia, Rocky, and Dr. Frank-N-Furter standing in front of you. Tickets are $15, but the real money should be spent on the $2 sh*tbag, which includes a newspaper, a noise maker, a party hat and toilet paper that is specifically encouraged to be thrown at the actors. The best kind of freaks definitely come out at night. While the rest of the city tends to pass out after eating too much deep dish, some people aren't as lucky. That's where Pick Me Up Cafe comes in, a retro-inspired cafe where writers, students and late night workers gravitate towards secluded booths, sip on massive Zombie coffees, and hide behind their laptops in hopes of productively passing the time. Drop in at 1am to spend the night with the rest of the city's writers desperately looking for inspiration in the dark. Genius strikes at strange hours, so stay late and hope you find it.